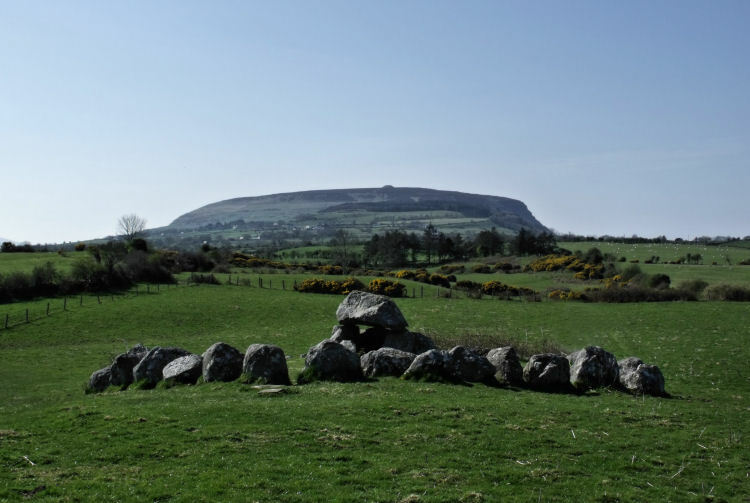 Queen Maeve’s grave (Misgaun Maeve) is said to be located at the summit of Knocknarea mountain, which, at 1,014 feet, dominates the landscape to the west of Sligo Town. Maeve was the warrior Queen of Connacht in Celtic mythology. 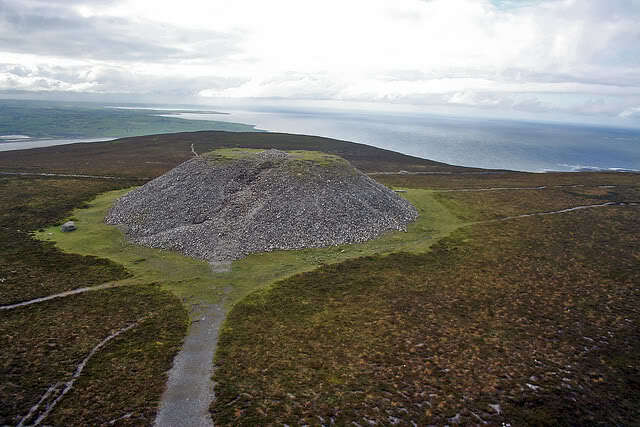 This enormous cairn atop Knocknarea is 55 meters in diameter by 10 meters high. 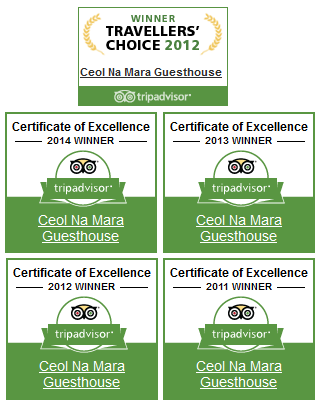 Folklore says it was built for the mythical Iron Age Queen Maeve, whose father, the High King of Ireland, gave her Connacht as a gift. Archaeologists believe it may really date back to 3000 BC, but who is to say that Queen Maeve was not tucked into an existing monument? It is considered bad luck to remove a stone from the cairn, and good luck to take one up the hill with you to deposit on it. On your way to Sligo from Enniscrone, why not take a detour and stop off at Aughris Head, one of the Discovery Points along the Wild Atlantic Way coastline.